Brian Billings was appointed as Director in the Campus Safety Services on May 1, 2017. I would like to thank you for visiting our website and I hope that your experience will be a pleasant one. Campus Safety Services strives to provide the highest level of service to our community and to provide the best in customer service. You can contact our department to report a crime or to obtain general information by calling ext. 3612 on any campus phone. In the event of an emergency, please call ext. 4444. Our patrol office is open to serve the public, 24/7. Should you have any questions or concerns, please do not hesitate to call upon us. On behalf of the Department, I extend to you a warm welcome and sincerest regards – please enjoy your time at Carleton University. Brian joined Carleton University in January 1995 and for more than 20 years has worked in several progressive management positions within the Campus Safety Services including Shift Manager, Community Safety Coordinator, Operations Manager and Assistant Director (2010 to 2017). Prior to joining Carleton University, he spent seven years with the Ontario Ministry of Natural Resources in parks and fish and wildlife enforcement where he was designated as both a Park Warden and Deputy Conservation Officer. Brian earned a B.Admin. degree from Lakehead University and a diploma in Business Administration – Marketing from Sir Sandford Fleming College. He holds Special Constable status at Carleton University, as conferred by the Ottawa Police Services Board, and has attained the Certified Protection Professional (CPP) designation from ASIS International Professional Certification Board. Brian is a promoter of integrating systems and leveraging technology to provide enhanced service offerings/solutions and convenient service delivery methods to end users. 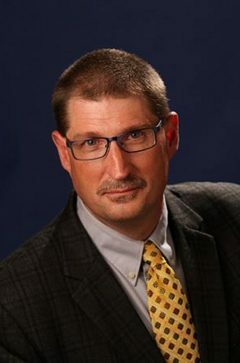 He is a member of the International Association of Campus Law Enforcement Administrators (IACLEA), the American Society for Industrial Security (ASIS International), the Ontario Association of College and University Security Administrators (OACUSA), and serves on several university committees and is an active community volunteer and leader. He is a strong proponent of community-based policing and is committed to providing a professional, ethical and accountable service responsive to the needs of the Carleton University community.